Hello. 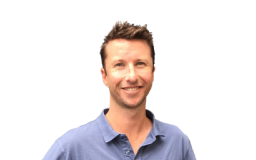 My name is Anders and I am an experienced and local plumber for you in Dulwich Hill. As the owner and operator of Hydraflow Plumber it means you deal with me and I ensure a friendly service and the quality of my plumbing workmanship. If you are looking to renovate your Dulwich Hill bathroom or need plumbing maintenance, I can help and look after all your Dulwich Hill Plumbing and Gas Fitting. My business Hydraflow Plumbing is fully licensed and insured to give you the confidence of work being completed to the highest standards. Additionally, I have been a plumber for over 20 years so you can benefit from my experience and know-how for all plumbing and gas-fitting requirements. As a local plumber you can be assured of a fast response and a commitment look after you in Dulwich Hill. Contact me, Anders now on 0432 417 224 to find out how I can help you. Need plumbers near me or local plumbers..? Hydraflow Plumbing is local to Bexley, Earlwood, Marrickville and is your Plumber Inner West Sydney .